Old place sold! Yee-ha! | House by the water. At 2.15pm today our old place became someone else’s. I’ve been sitting on the news of the sale for quite sometime for fear of “jinxing” the whole situation. 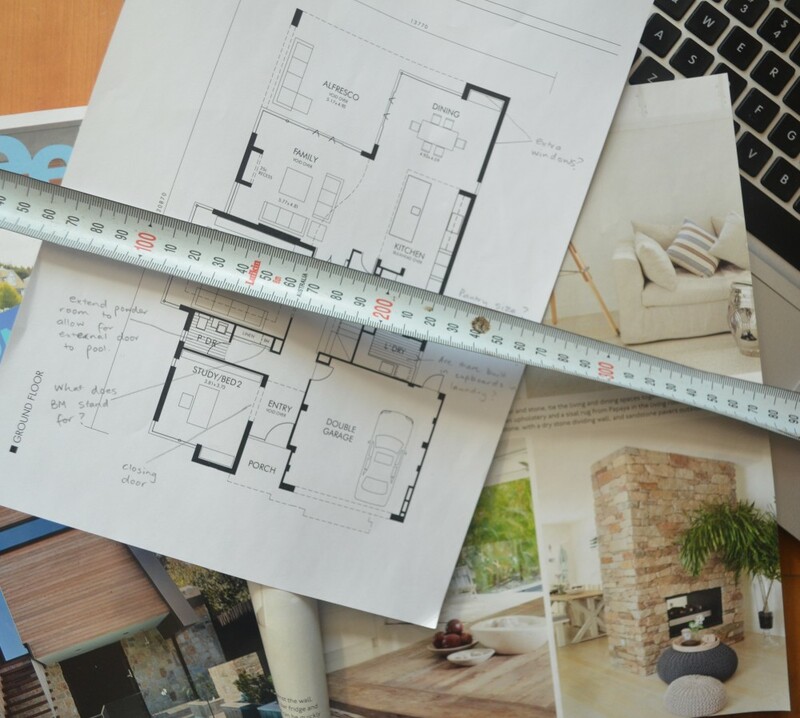 We’ve been very lucky to have gone from on-the-market to settlement in less than 3 months. 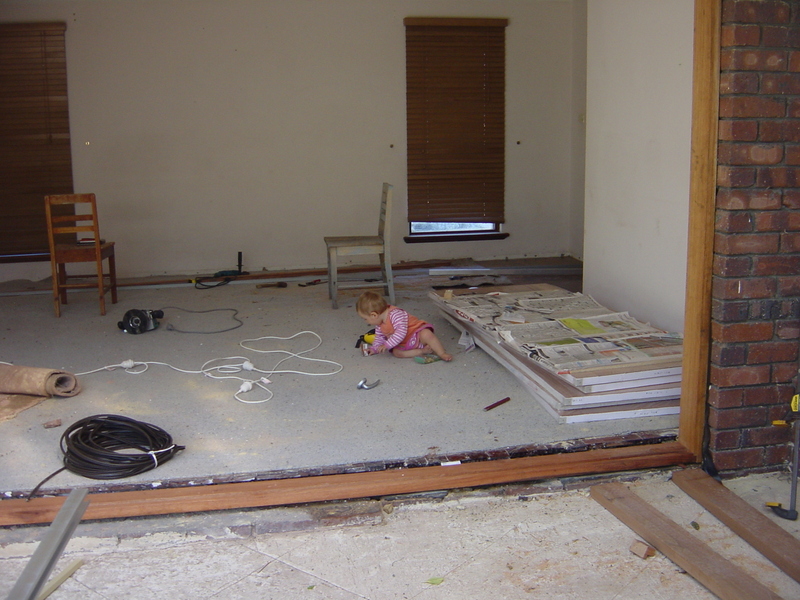 While we are definitely celebrating, it is the first home we owned and finding a few old photos of our renovations left me just a tiny bit sentimental. 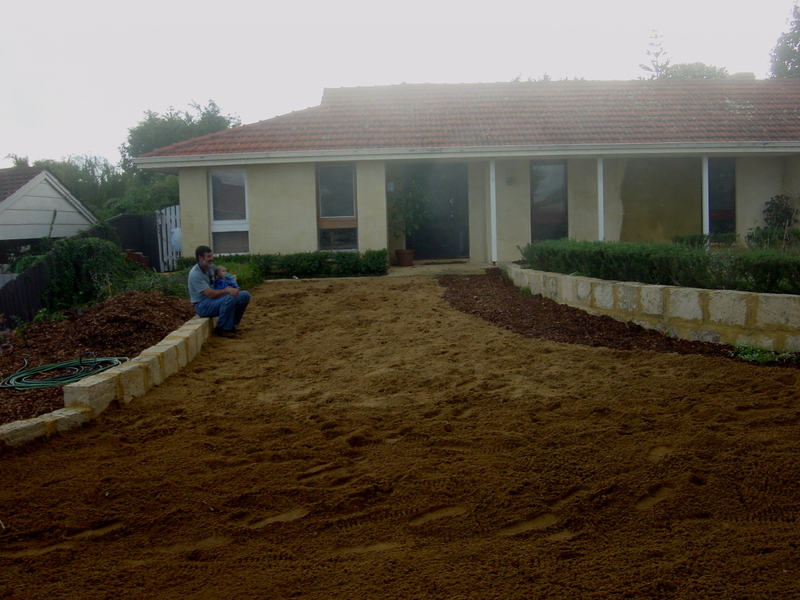 Landscaping the front garden assisted by my Dad. Putting in bifold doors, slightly handicapped by the “helper”. 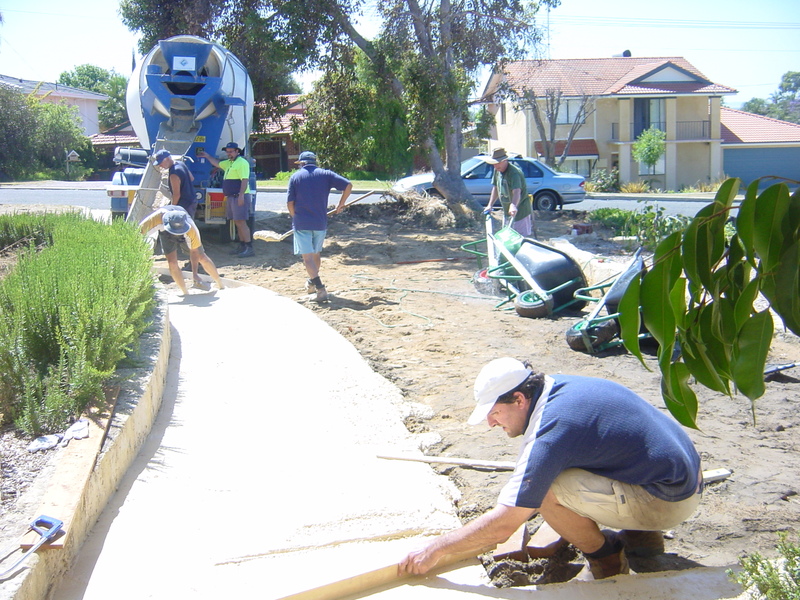 Laying a limestone path. Labour payments made in beer and BBQ. I hope you boys are available for the next one?? 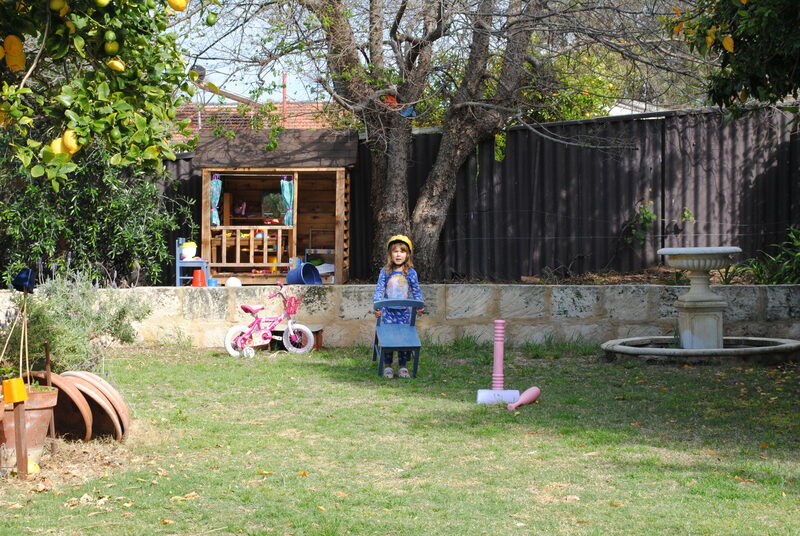 Reaping the rewards of a creating a kid friendly back yard. That’s what I love about Australia! 2.99 children (A.K.A. 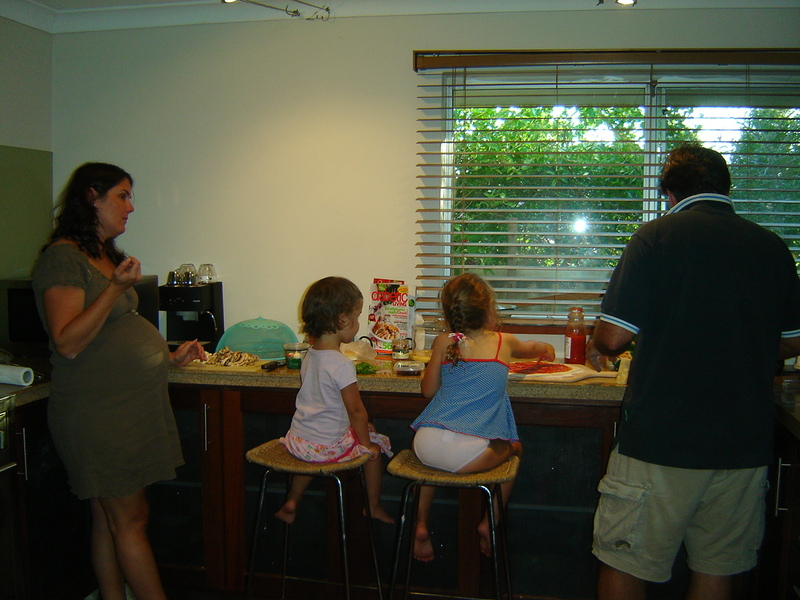 3 little pigs) helping Papa make pizza on the granite bench top. Our best wishes to the new owners. Sad, as you guys worked so hard in beautifying the place! And you succeeded: I must say I loved your first house. Congratulations on the sale! The OH& S side of me had the shudders at the ‘helper ‘(but can remember similar scenarios from renovating days). Congrats on the sale. Hopefully you can have confidence in choosing all those expensive variations now.